Venera women’s white T-shirt. 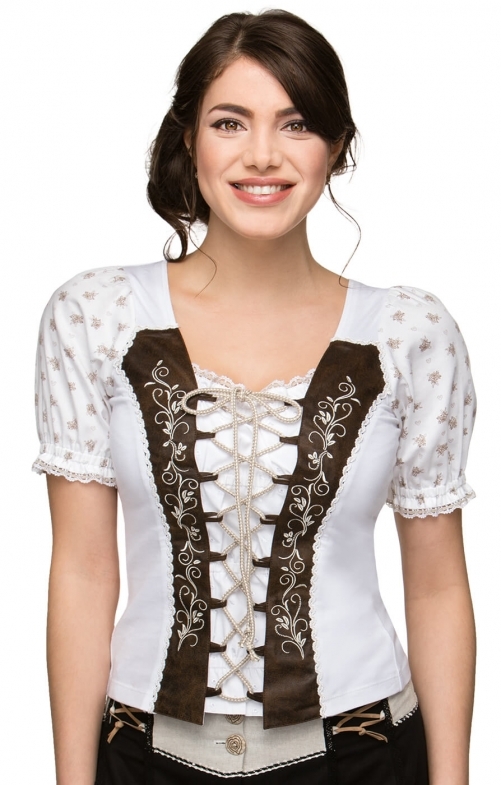 While the brown-and-white design on the front of this cool T-shirt serves as an excellent reflection of the traditional Bavarian-style corset, it also boasts plenty of modern touches to make it extra comfortable. The T-shirt comes with short sleeves printed with a rosebud design, while white lacing down the front complete the look.